When your golden retriever puppy comes home, your happiness knows no bounds. But, for most the joy is short-lived as soon the real life comes to their faces of training and feeding their little puppy who mature into adult dogs. Given below is the complete guide to feeding, training, and behavioral aspects of your Golden Retriever that will help you train it into a wonderful dog. 1.1 What Should You Feed Your Golden Retriever ? 1.2 How Often Should You Feed It ? 1.3 What Are The Consequences Of Overeating For Your Golden Retriever ? 2.1 When Should You Start Training Your Pup ? 2.2 Why Is Important To Start Young ? 3.1 What is The Underlining Personality Trait Of A Golden Retriever ? 3.2 Can They Get Upset Easily ? 3.3 What Are The Obvious Changes In Behavioral Patterns In Golden Retrievers ? What Should You Feed Your Golden Retriever ? Just like babies, not all food is preferred and appropriate for your puppy. This might just be one of the biggest decision you make next to choosing your puppy. If you are the type who tends to forget and think you might forget to feed your puppy, worry not as your little puppy has natural instincts that let them know it’s their feed time and they prompt you to feed them. How Often Should You Feed It ? If you take a newborn puppy then for the first three months you should give meal three times a day and later on just feed twice a day as long as you have your dog. The perfect schedule is to feed the morning meal around 6 to 7 am then at noon around 12 and dinner by 5-6pm. To get a little easy side in training, don’t feed after 5 or 6 and restrain from giving water after 7 pm. If required, you can give an ice cube to chew on and around 10 pm take your puppy for a walk. What Are The Consequences Of Overeating For Your Golden Retriever ? Overeating can result in various consequences like obesity and lethargy. Avoid these issues by setting proper mealtimes for your pup and not allowing it to go on eating beyond limits. Always give food to your puppy in the same place and make sure there is no distraction, so your puppy can eat in comfort. A normal puppy takes about 30 minutes to consume a meal. If food gets leftover don’t get angry or force them to eat. Just pick up and discard the food. Don’t feed leftovers as this will reduce their diet. When Should You Start Training Your Pup ? Start your dog training as soon as possible, preferably around 8 weeks of age. Train them little by little regarding their eating habits, play times, meal times, and peeing and pooping patterns. All of this will eventually add up to the making of a good well-mannered and well-behaved grown up Golden Retriever. Why Is Important To Start Young ? Young dogs are more like small children. They can be easily molded into becoming good adult dogs when their training starts out young. Waiting for them to reach adulthood or even adolescence before training them does not bear the desirable fruits. Design a strict schedule for your puppy’s daily activities in order to set a pattern for them to follow even if they are not in the mood for it. This will eventually cause them to grow into better-behaved adult dogs. One of the most important parts of your house-training is the restriction to full house use. It may not seem good, but it is the best first step to your training. The lesser space to move the lesser chances of doing mistakes leads towards a victory goal. Apart from a cleaner path to your goal, your dog will also learn to treat the house as their own den. By nature, dogs keep their den clean. Hence, it’s important for your puppy to begin learning that the house is their den, so they begin to keep it clean. For this restrict your puppy to one room. When they start to keep the room clean, allow them to the next then next and so on soon the full house or till your requirement. Cleaning products like bathing soap, shampoo, floor cleaners etc. What is The Underlining Personality Trait Of A Golden Retriever ? The Golden Retriever is the perfect family companion. You get an obedient, intelligent, playful, well-mannered dog who is not just wonderful with kids but kind with strangers too. They fail to make good guard dogs as they are friendly with strangers as well. Golden retrievers are highly obedient and great sports lovers. They are reliable bird dogs hence, great for hunting and their keen interest in smell makes them ideal narcotics sniffing dogs. Can They Get Upset Easily ? Though a Golden Retriever is low tempered and quite well behaved still do a thorough research before you pick your puppy up. 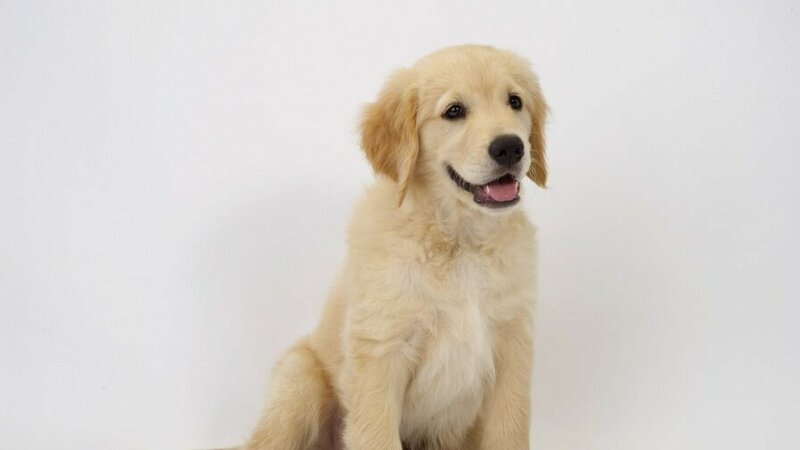 Golden Retrievers are very popular and unfortunately, this has led to indiscriminate training practices that lead them to maintain unstable temperament. In short study, the bloodline thoroughly before you buy your puppy. After all, you would not want to leave your puppy if you can’t control them. What Are The Obvious Changes In Behavioral Patterns In Golden Retrievers ? Golden Retrievers need to be kept in the company of other dogs or humans. Living alone for most of the time may cause them to become distressed or agitated. They may lose the sense of their sanity and may resort to aggression. Make sure you don’t leave them alone for long. The above-mentioned guidelines for feeding, training, and understanding your dog’s behavior are all simple guidelines that will give you a general idea of how your dog must be trained. Follow them and see your Golden Retriever pup transform into a good, well-mannered, well-behaved and matured adult dog.